Arthritis is a common condition that causes pain and inflammation in a joint. There are more than 100 different types of arthritis, all of which have different causes and treatment methods. Degenerative Joint Disease is a non-infectious, progressive disorder of the weight bearing joints. The normal articular joint cartilage is smooth, white and translucent. It is composed of cartilage cells imbedded in a sponge-like middle, or matrix, made of collagen, protein polysaccharides and water. 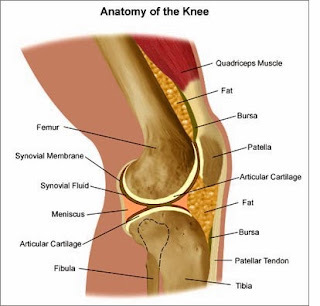 With early, primary degenerative arthritis, the cartilage becomes yellow and opaque with localized areas of softening and roughening of the surfaces. The main symptom is pain, causing loss of ability and often stiffness. "Pain" is generally described as a sharp ache or a burning sensation in the associated muscles and tendons. Degenerative Joint can cause a crackling noise when the affected joint is moved or touched and people may experience muscle spasms and contractions in the tendons. Occasionally, the joints may also be filled with fluid. Some people report increased pain associated with cold temperature, high humidity, and/or a drop in barometric pressure, but studies have had mixed results. Musculoskeletal pain affects the bones, muscles, ligaments, tendons, and nerves. It can be acute or chronic. Musculoskeletal pain can be localized in one area, or widespread. Lower back pain is the most common type of musculoskeletal pain. Other common types include tendonitis, myalgia, and stress fractures. · Get the facts on the aches and pains that signal back problems. Nighttime back pain is a special type of lower back pain that could indicate a serious problem with your spain. These disorders often involve the joints, muscles, and skin, but they can also involve other organs and organ systems including the eyes, heart, lungs, kidneys, gastrointestinal tract, and blood vessels. · General feeling of being unwell. This malaise may be accompanied by increased fatigue and a mild fever. · Cold and numb fingers or toes. In response to cold or stress, your fingers or toes might turn white and then purplish blue. After warming, the fingers or toes turn red. · Swollen fingers or hands. Some people experience swelling to the point where the fingers resemble sausages. · Muscle and joint pain. Joints may become deformed, similar to what occurs with rheumatoid arthritis. · Rash, Red or reddish brown patches may appear over the knuckles. Septic arthritis is an intensely painful infection in a joint. The joint can become infected with germs that travel through your bloodstream from another part of your body. Metabolic arthritis is caused by a buildup of uric acid in the blood. This acid crystallizes and the crystals deposit in the joints. Eventually, this causes sudden attacks of excruciating pain, redness, and swelling. · The pain may be so unbearable that not even the weight of a blanket or sheet can be tolerated on the affected area. Homeopathy treatment helps for Arthritis. And helps to prevent further recurrence also.